bHave is one of, if not, my favourite haircare brands. 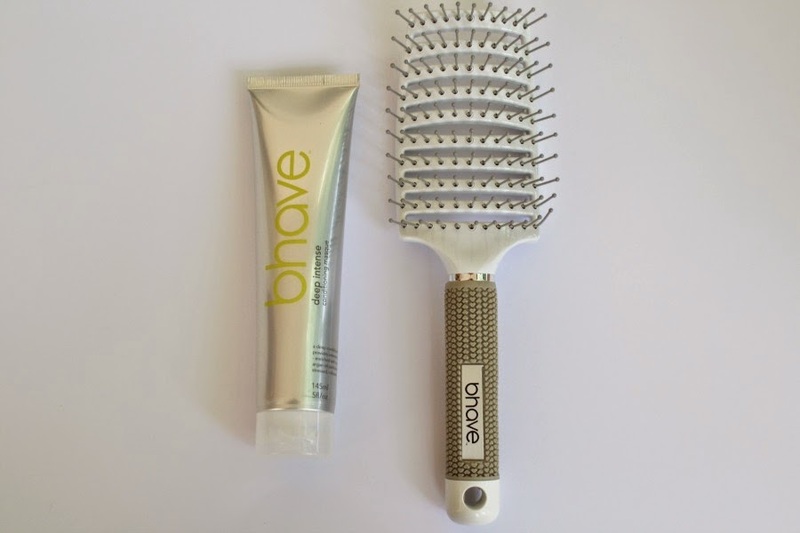 I started using bHave over a year ago and it completely changed my hair. Since using it I've found that I need to do less with my hair and yet I still get great results. I've been using their Rescue Intense Repair Shampoo and Conditioner 1-3 times a week, depending on how dry or oily my hair feels. If I can, I try to wash my hair as little as possible to keep it from drying out.... and also because the longer my hair gets, the harder it is to wash!! I also alternate their Deep Intense Conditioning Masque with 1 or 2 other masks. I ALWAYS use a hair mask every time I wash my hair as I find that it helps to keep it soft and healthy through all of the heat tools and daily wear and tear that happens. 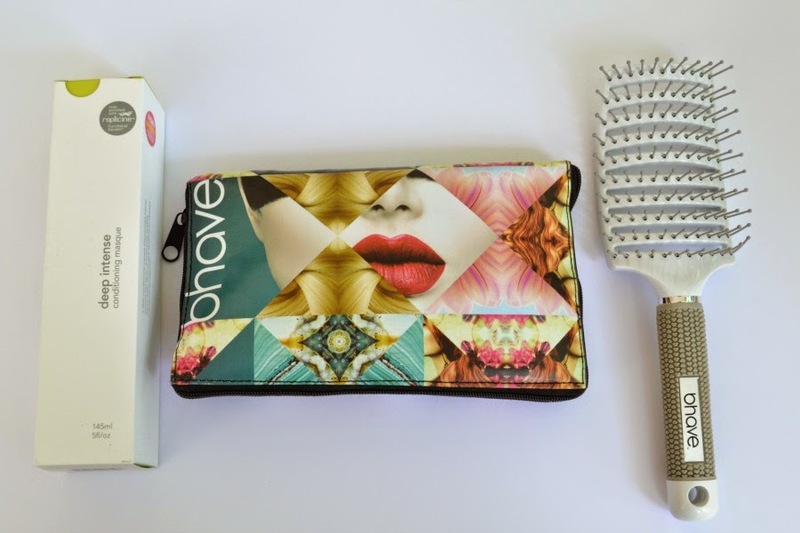 This Christmas bHave have released 2 fantastic gift sets. 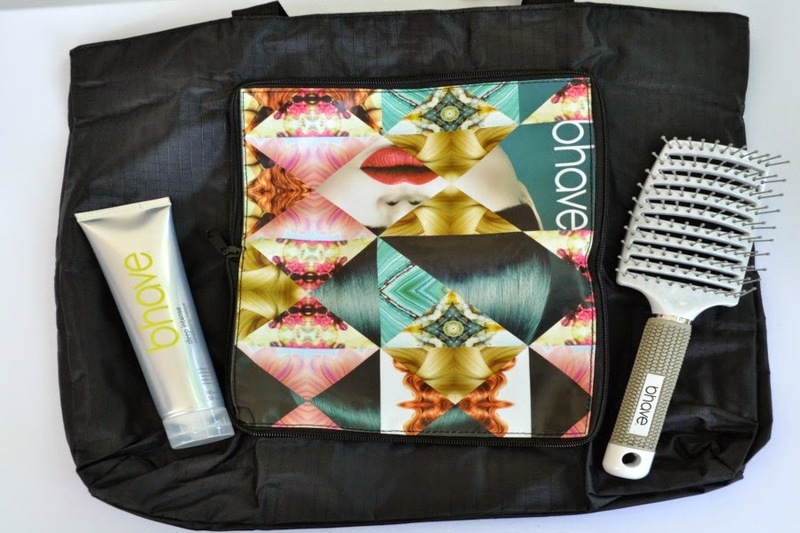 Both sets include a bHave tote bag (which folds up in a compact purse) and a bHave Signature Vent Brush. One pack includes their "Deep Intense Conditioning Masque" or there is also the "Leave In Creme" in the other pack. I was sent the "Heal, Restore & Style" Pack, which contains my beloved Deep Intense Conditioning Masque. The conditioning mask contains organic argan oil and natural raw keratin to help rebuild damaged hair. It helps to leave your hair feeling softer, stronger and I always find that it helps calm my flyaways. I've previously received the Signature Vent Brush in their Mother's Day Gift Pack (seen here) and I'm still using that brush 8 months later. I use it every day to get rid of tangles and to help style my hair. What's great about the brush is the fact that it has grip on the handle, so if you're clumsy like me, you won't end up dropping the brush especially if you have a stubborn knot in your hair. Because it's a vent brush, it's really easy to clean and remove any hairs caught up in the bristles. I love this brush so much!! I can't wait until bHave release their own brush line, as this brush has become a life saver for me. Both packs retail for $42.50 and are worth every cent! I really adore bHave products (as you can tell from the millions of times I've mentioned them on the blog) and know that I'll be using them for decades to come! Find your nearest bHave stockists by calling 1300 402 064 or go to www.bhavehair.com. PS You can see my current hair routine (featuring these products) here. It really is. The hair mask is incredible. What a lovely kit indeed! I think this is so perfect for gift giving. It's such as an amazing pressie. Anyone that gets one would be so happy with it. I need to try bhave! This pack looks fantastic, and terrific value too! I can't believe that you haven't!! Their products are incredible.